The bacteria that the researchers studied guide the early development of our intestines, train our immune systems to fight pathogens and may even affect our moods and behavior. The researchers are not certain how these three ancient strains of microbes were passed down from one host generation to the next for millions of years. Prior research shows that we receive our first inoculation of gut microbes from our mothers as we pass through the birth canal. Throughout life, we also receive microbes from social interactions. 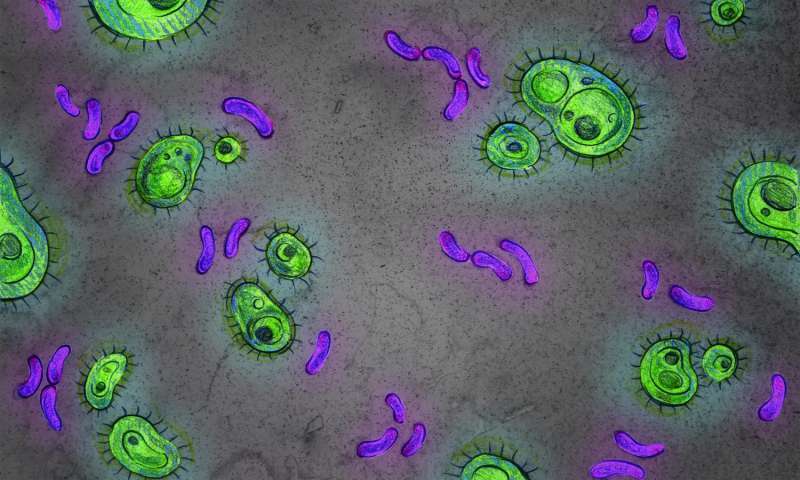 The researchers suspect both modes of transmission are responsible for maintaining our multigenerational relationship with our bacterial BFFs. "The bacteria that the researchers studied guide the early development of our intestines"
You need a comma are "studied". How, in 2016, is it surprising "that our gut microbes... have actually been co-evolving inside us for such a long time"? Bacteria adapt to change in the environment very much faster than eukaryotes - often developing new metabolic pathways in the process. If they can survived being doused in penicillin, I'm sure a change in diet is not going to bother them very much. Also it's been clear for a few years just how intimately involved gut bacteria are in maintaining homoeostasis. Our microbiome is not adventitious, it is integral. @Jayarava: They inflate their results of course, but it is a "surprise" in that it is a new observation _and_ that the result isn't obvious. There could have been too much extinctions, say because different hominids had put too different selective pressures and other bacterial lineages had competed with the ancestral. Now they see that doesn't happen, and have hope to track a complementary genome base together with the eukaryote host organism. Which is nice. NO, (pedantic, I know) evolution does not "play a major role" today where it played a little role yesterday, took last weekend off or went on a tropical cruise last year. If you had not seen co-evolutionary symbiosis in any and all biological systems, it just means you had been averting your gaze. This would only be a "surprise" or counter-intuitive if you happened to be vested in some Intelligent Design Sudden Creation theory. But then again, all God's critters have a place in the choir, some sing low, some sing higher. Some sing out loud on the telephone wire. Some just clap their hands, or paws, or anything they got now.